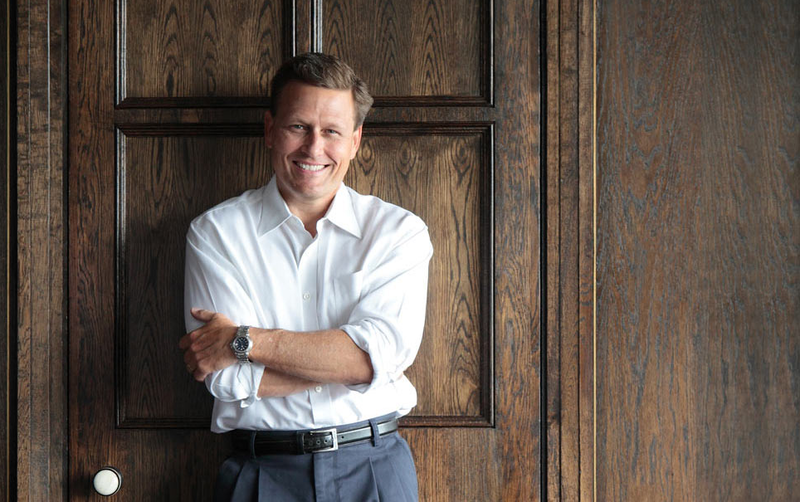 With over 110 million copies of his books in print, chances are you’ve heard the name of author David Baldacci. His first book, Absolute Power, was adapted into a film starring Clint Eastwood. His books have been published in over 45 languages and in more than 80 countries. But it was because of this literary success that Baldacci wanted to avoid preferential treatment when it came to publishing his Vega Jane series for young readers. Baldacci says that that’s exactly what the publishing house--Scholastic Press--thought. They read the book, loved it, and bought it. Now six of Baldacci’s more than 40 titles have been written for young readers. And although the subjects might be different, Baldacci says the writing process for young people is not so different than his writing for his adult readers. Baldacci says that even though his books for young readers are written with teens in mind, they have wide appeal to various age groups. “Certainly I want kids to read them. I think I was a reader early in life and I've been a reader for life. It's made me a much better, more well-rounded person and I think if more people read we would have a much better world,” he says. A better world is something Baldacci's characters want, too. Especially those in his Vega Jane fantasy series. "I've always thought you could do fantasy two different ways, generally speaking. One, you can go really big--as far as the world--and shallow because you have so much ground to cover or you can go small and really deep. And I decided to go a very small stage, if you will, and very deep. It's an alternative universe, you have no idea what this place really is. It's kind of like my metaphor for planet Earth being you know the only source of human life," Baldacci explains. "Well as the book goes on Vega Jane realizes that this is all a lie, it's all been fabricated, everything about me where I came from, everybody that here, everything that's here is a total fabrication. It's a lie. And she wants to get out because she figures she wants to go find the truth." Baldacci points to his own experience in reading and having access to books as a fundamental change in his life. He says that he first became a writer because he was an early reader. So 16 years ago, he and his wife, Michelle, started the Wish You Well Foundation to support adult and family literacy. Baldacci says that illiteracy and poverty go hand-in-hand, and by partnering with Feeding America, a nationwide network of food banks, his foundation has collected and distributed about two million books. David Baldacci is on tour for the third book in his Vega Jane series for young readers, The Width of the World. He will be in Wichita this Sunday, March 5. The event, hosted by Watermark Books, starts at 3 p.m. at Abode Venue. Beth Golay is the director of marketing and digital content at KMUW and host of the Marginalia podcast. Follow her on Twitter @BethGolay.